It wasn’t long after arriving in Hong Kong, did I realize (along with all expats) IKEA wasn’t just for college anymore. 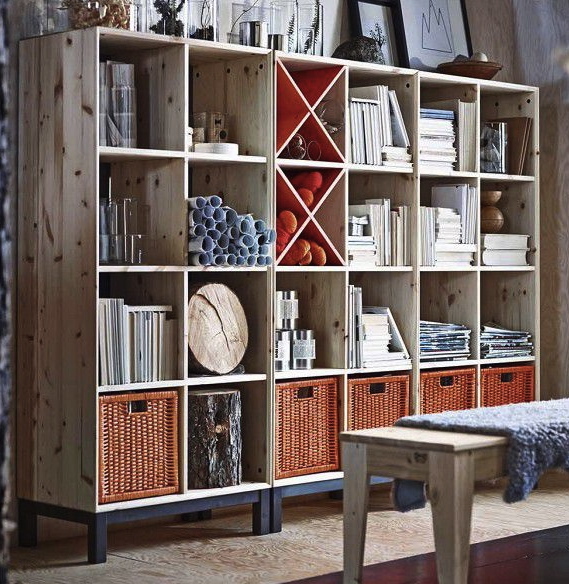 Even now, as a grown-up with grown-up money, there’s a lot of great stuff to be found at IKEA. If it’s been a while since you last visited the mega blue box, you should consider a visit soon. No matter what your personal style or how much grown-up money you have, IKEA is still your friend. Especially for us expatriates. NORNAS: This may be IKEA’s way of apologizing, after having turned home bloggers around the world on edge, when they announced last year they were discontinuing the much-loved Expedit bookcase. And as far as I’m concerned… apology received! This eco-friendly, natural raw finish, solid wood with steel accent collection is a great nod to their Swedish roots. Well done IKEA. 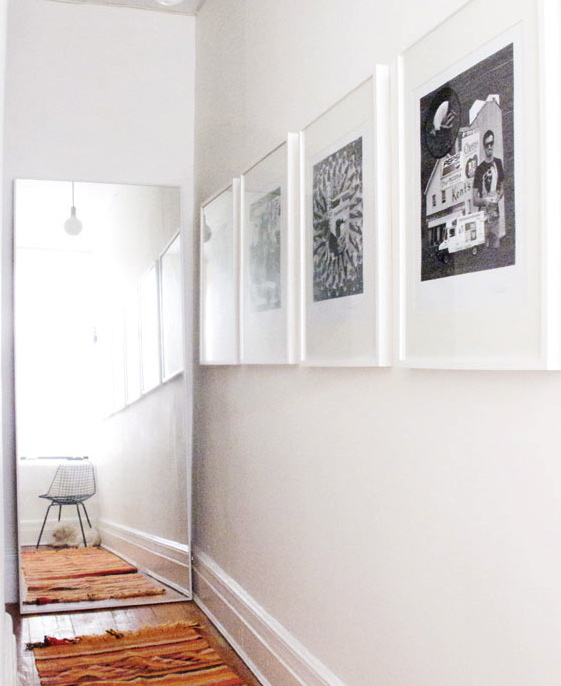 RIBBA PICTURE FRAMES: If you haven’t already heard, Pinterest has confirmed your life is meaningless and worthless if you don’t have an artsy gallery wall in your home. Whether displaying your kids handy work or photographs from a life well-traveled, these simple basic frames are a must have. HOVET MIRROR: Also shown in the above image. Ever since first discovering this mirror, I’ve been trying to find a place for it in my home. But measuring 30″x77″, it ain’t easy! So pleeeease do me a favor and get one for your guest room before my next visit. AINA LINEN CURTAIN: One of my favorite areas of IKEA is the textile department. Not only do they have great stuff, I don’t feel so guilty pushing someone out of my way (into something soft…) as I do tend to lose my mind over the crowds at the Causeway Bay location in Hong Kong. ANYWAY. 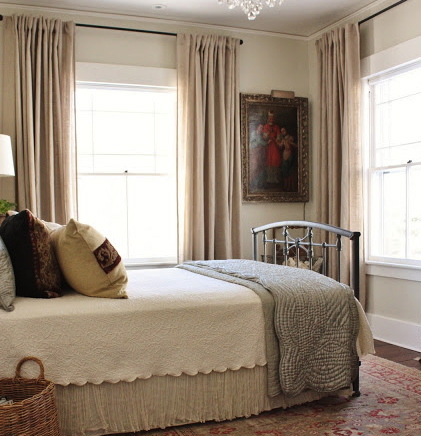 These 100% unbleached linen curtains not only come in my favorite color, neutral, they’re also great quality for the price. 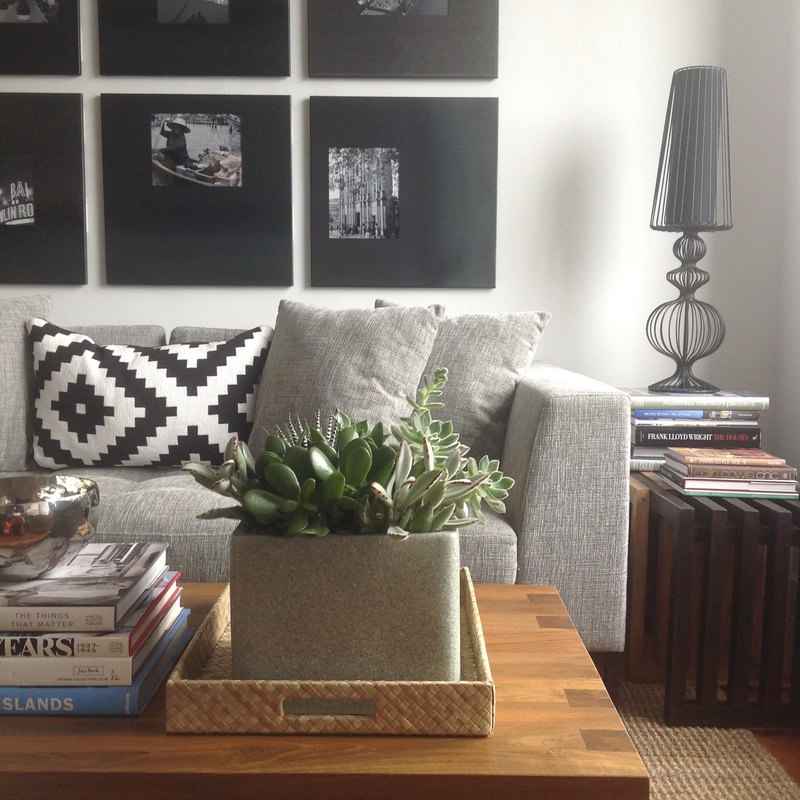 LAPPLJUNG RUTA PILLOW COVER: This pillow is photographed everywhere… even here on my sofa! As a result, they’re hard to find. In fact, I had to beg my Mom to drive to Dallas to buy and ship a pair to me in Hong Kong. Black & white, bold & classic, machine washable, and durable… I love this pillow! 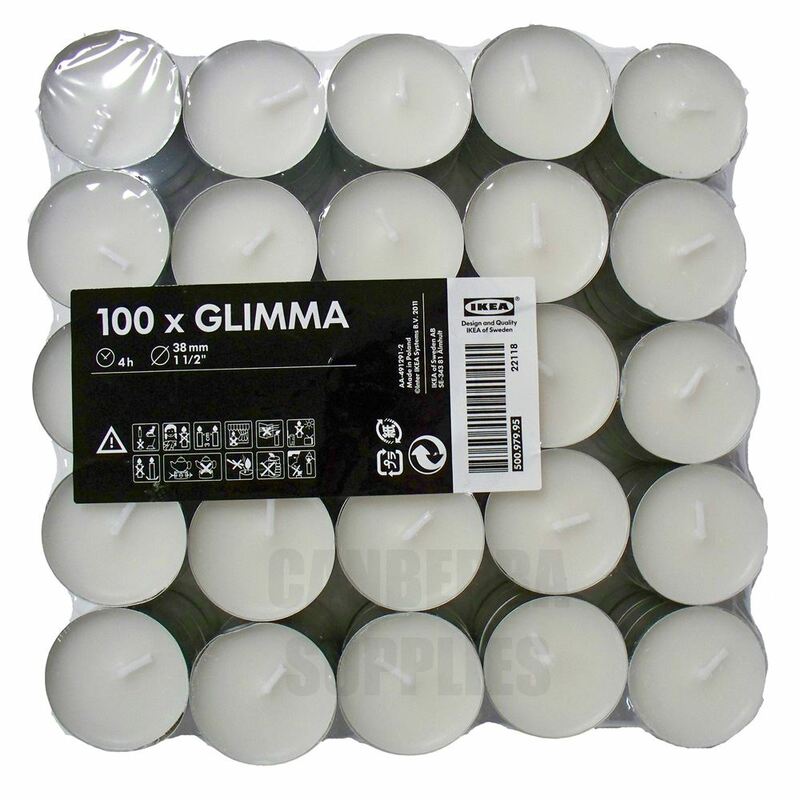 GLIMMA TEA LIGHTS: Who can’t use 100 tea lights for US$3.99? That’s what I thought. SKUBB STORAGE BINS: Do you ever find yourself yelling… I NEED STORAGE BINS and after you get them find yourself yelling I HATE STORAGE BINS I CAN’T SEE A DAMN THING… ? Me neither. But if you did, you too would think these are perfect for your love/hate relationship. 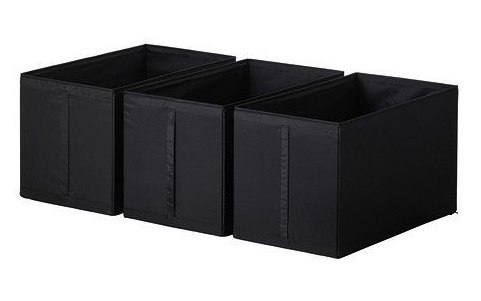 Tall, black and handsome- these sturdy storage bins also unzip to collapse for easy storage. 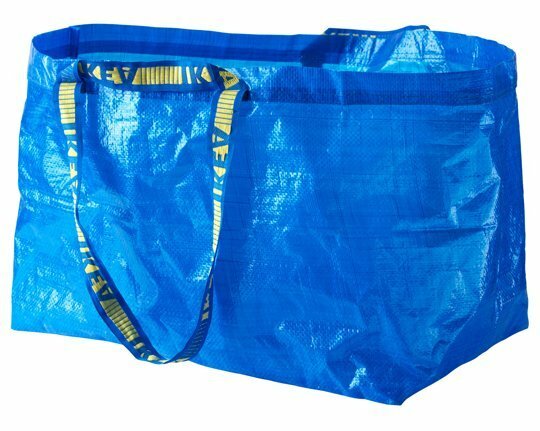 FRAKTA BLUE BAG: IKEA’s big blue bag is not only indestructible, it’s 10 times larger inside than outside. 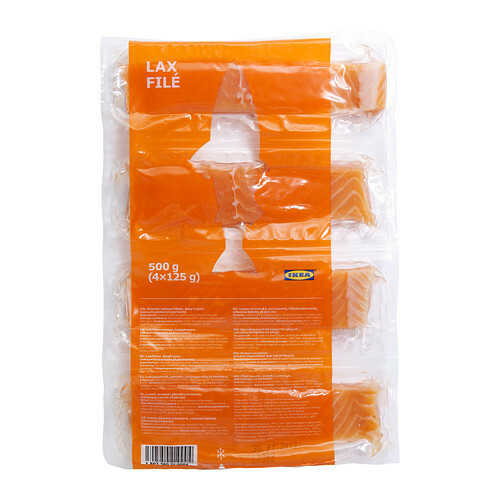 Great for hauling dry-cleaning across town, grocery shopping or weeding flower beds… the possibilities and life expectancy of this bag are endless. Love it! The black and white pillow is my favorite!